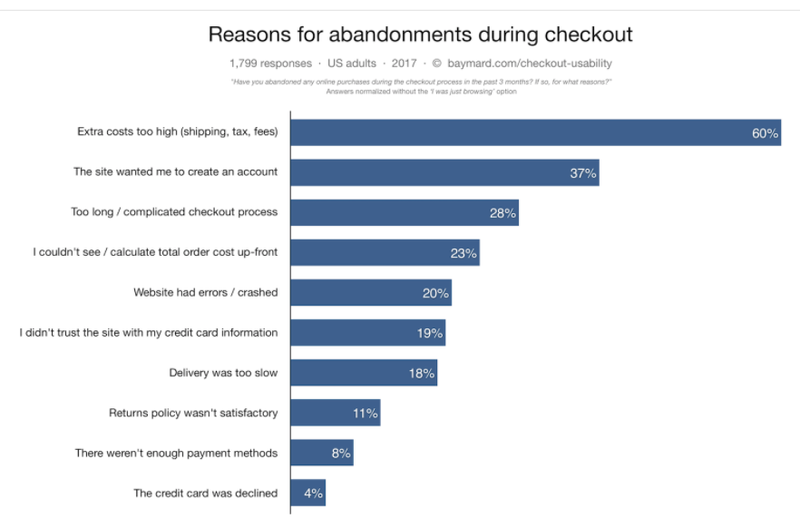 Why do people abandon their online shopping carts? Keep these reasons in mind when you are developing your ecommerce website. To get the most feedback from users, I recommend adding an online chat system, make it easy for potential customers to reach you at any time, and try to have enough functionality to make the user’s experience at the top of your priority list. This is not only for SEO purposes, but also just to present the best experience possible for potential clients. There are so many options available to customers in today’s world, that you really need to always put your best foot forward.